Planet Weird is made up of husband and wife, Greg and Dana Newkirk. The two are prominent figures in independent ghost hunting and have a podcast in which they talk about the paranormal and unknown. The Hellier documentary takes place in the town of Hellier, Kentucky. The story starts in 2012, where Mr. Newkirk receives an email from a man named, David Christie. Christie explains how he’s lived in Hellier for a few months and every night his children see small extraterrestrials coming out of the mineshafts behind his home. Newkirk originally dismisses the email until Christie responds with a much larger and intense story than anticipated, which includes photos of the “alien’s” footprints in the mud and even pictures of the creatures themselves. The Newkirks and two other paranormal investigators, Conor Randall and Karl Pfeiffer drive down to Hellier. They spend four nights there and with things get very interesting. 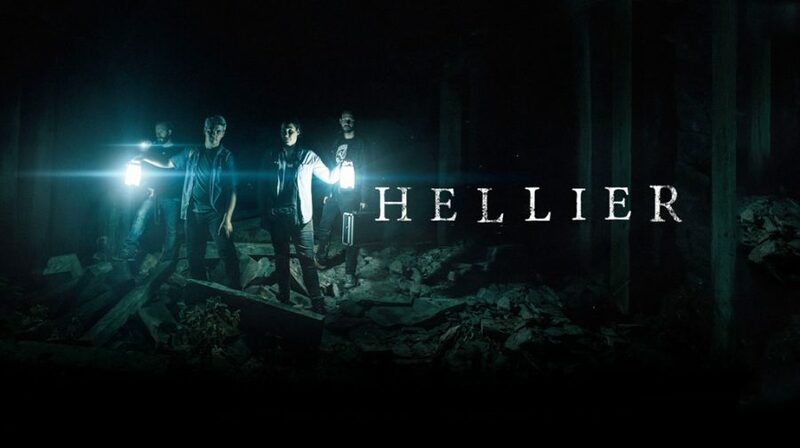 We learn that Hellier has a history of UFO activity dating back to the 1950s and home to one of the most recognized UFO sightings in the United States. We also learn something about David Christie, which you’ll have to watch to find out. The documentary starts off slow, but it’s done very well. Some of the eerie details will keep you up at night, while the backstory to the Hellier case is extremely engaging and amazing to watch unravel as the episodes go on. Each episode has it’s own twists and turns which will keep definitely hold your attention and keep you guessing up until the final episode. For an independent documentary, it was very well produced. The investigators did a great job heightening the tension and unease of each situation. They also had wonderful chemistry, and do a good job feeding off each other. Their friendship doesn’t feel forced for the camera, it’s all very genuine. Overall, this documentary is fascinating. A great topic, with an even more twisted backstory that will keep the audience wanting answers days after they’ve finished it. Its use of slow music and enhanced sound effects so we can hear the area around the crew adds to the eeriness. It’s a mixture of ghost and UFO hunting is refreshing and doesn’t get overly cliché. The darkness of some episodes makes you feel like you’re there and becomes increasingly scary at times. If you do watch it, turn the lights off, put the volume all the way up and creep yourself out for a few hours…it’s worth it. The documentary is also available on Amazon Prime and Vimeo.